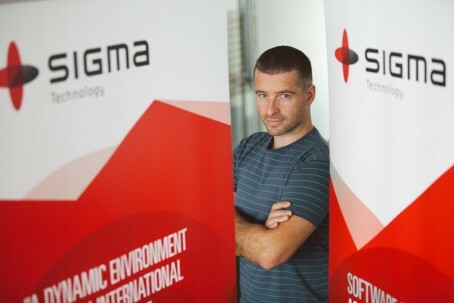 This year, the innovative concept of Gábor Soós, software developer at Sigma Technology Hungary, has been chosen as one of the top 3 submissions from over 330 ideas. Gábor graduated as an electrical engineer and has an extensive knowledge of both hardware and software. He has designed electrical systems, written software, and been employed by a startup company. This kind of professional experience helped him consider his tasks from a fresh, new perspective. Each year, those with a more innovative mind can try their hands at numerous innovation challenges. Gábor goes to innovational boards regularly, and this is where he first presented his concept. The big idea was the result of a long thinking process, not just a sudden brain-storm. Gábor (and maybe all of us) had been wondering for a long time why we had to bother with long and complex login passwords. If computers were programmed a bit differently, they could be used in a more user-friendly way. Login methods could be more secure, elegant, and even fun. Gábor never thought that his concept would be chosen as one of the top 3 submissions in the challenge. The main idea seemed to be so simple that at first he didn’t understand why nobody had thought of it before. Now, the prototype of the software has been completed and is working very well. Gábor is currently working on an offline demo and will present his idea to the judges in the final in New York City, 28 October. Congrats, Gábor! And fingers crossed!